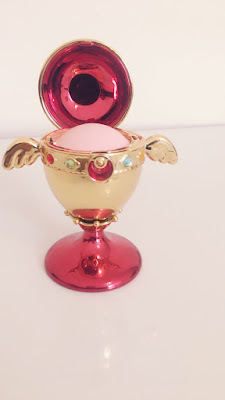 The chalice reminds me more of Sailor Moon Crystal than the 90's Sailor Moon which is nice since there new Sailor Senshis fan watching crystal. 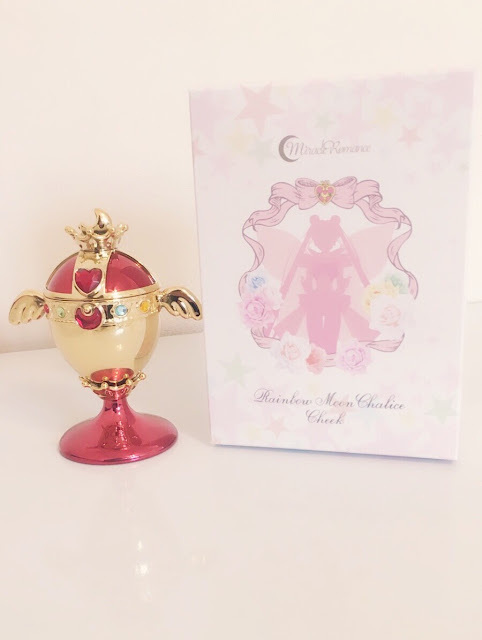 The box is really cute I like how they add detail to Usagi transformation while adding real-ish flowers (?) unfortunately, I can't read the box because it's in Kanji and I don't know how to read nor talk Japanese. The blush comes with 11g it a very light pink I personally have a mixed feeling since I'm used to blush that is quite noticeable but again most Japanese and Korean goes to more light makeup than the Western I don't hate the blush and I would be using most likely my rush of everyday look but I would love if it was bit more diverse so can everyone enjoy the Sailor Moon Chalice cheek. 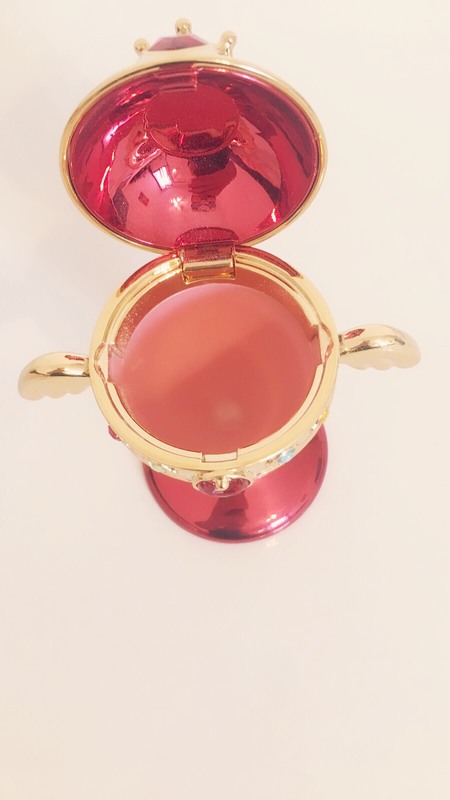 Also, kuddo that I can take out my blush and hide stuff in there!